Our personalised plush dog is part of the incredibly popular Cubbie range and features friendly, smiley face that’ll make anyone’s day. 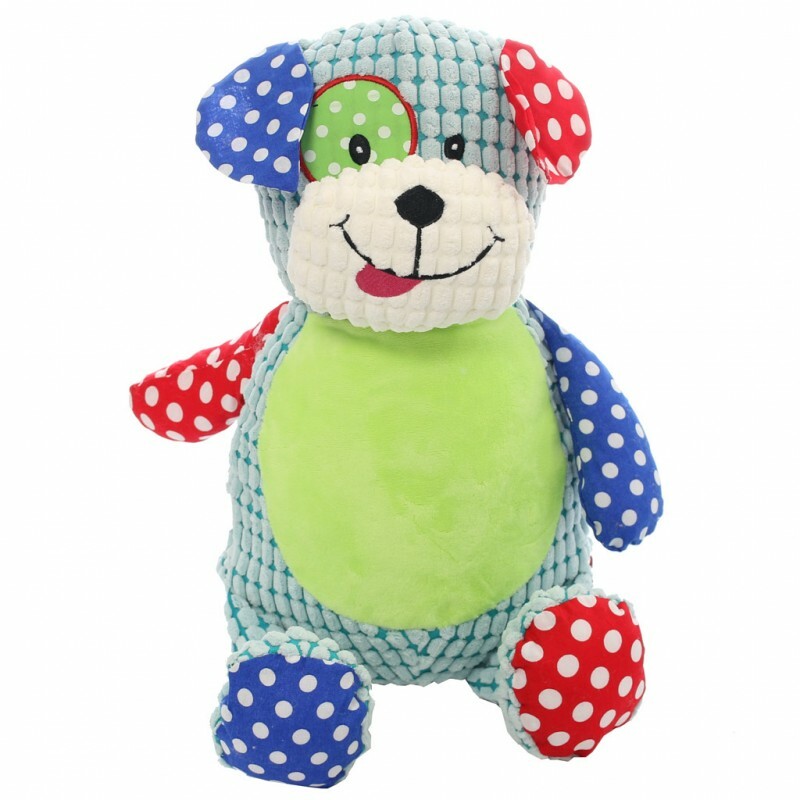 His unique patchwork design is bright and memorable, with a mix of red and blue polka dot fabric and a large green tummy ready for your special message. 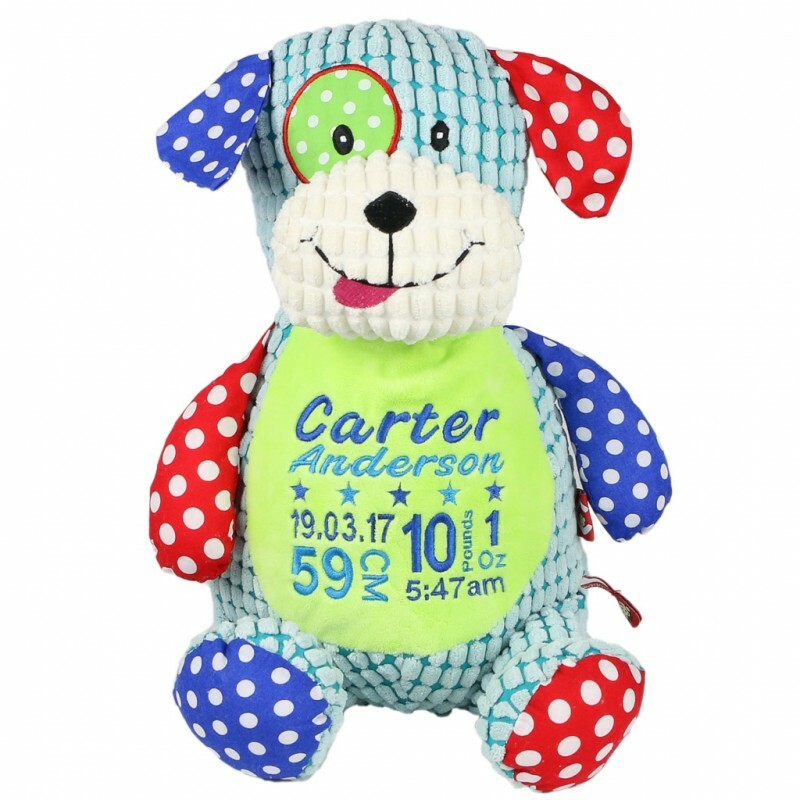 This cute pup makes a wonderful newborn gift when paired with one of our custom birth details designs but is also loved by kids and the young at heart so is popular as a get well soon, birthday or “just because” present. If you have any questions about our Personalised Plush Dog, don’t hesitate to get in touch.